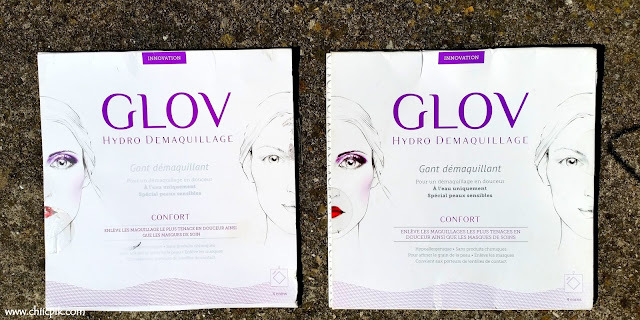 Hello readers today I am doing a second review on the microfiber makeup remover glove by the brand GLOV. You can read HERE the first review I did a few months ago. There are several things that I like about it and several things that disturb me so I felt the need to use it for a longer period of time to get the most honest opinion possible. Which means I had to buy an other one. On my previous review you can read very detailed information about it. But as it is a second review I really wanted to enhance what I like and dislike the most about this product. -By using this product you avoid using chemicals or any other product which is great for people with sensitive skin. -The brand states that its efficiency lasts up to 3 months. Well, I feel that after 2 months the fabric is not as efficient and I do need to use a chemical makeup remover as well. -Although this product can be washed, some beauty products I used (one face mask, and one long lasting foundation) left stains on the fabric that never went away and the fabric does not look so clean any longer. I will ad that with the exact same beauty products I have never had that issue with a regular cloth. -The brand states that you can wash the glove with a washing machine. I did that and found out that the glove is not as effective afterwards; pus as mentioned above some stains have never disappeared. -It is time consuming to always hand wash the glove after usage to make sure it will be clean for the next day. -I wish the glove will get dry quicker because by the next day it is still damp unless you live in a very hot climate. There are other similar products on the market, the other famous one being the "makeup eraser". I love the idea behind it but I would only repurchase it again if it was much cheaper that way I could buy several ones and use a new clean and dry glove each day. I saw similar products for a much cheaper price on amazon but have never tried those. Have you ever used this type of product ?